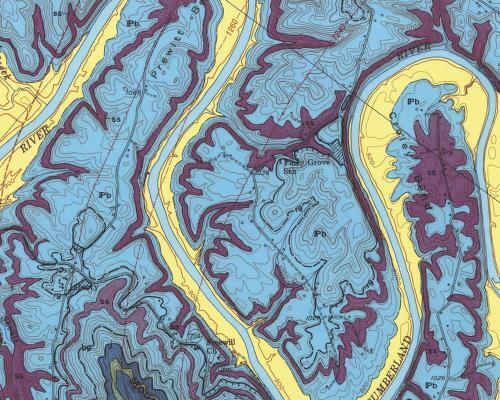 [Images: The sheer, extraordinary beauty of these maps is hardly even the start of one of the biggest time-traps I’ve ever found on the internet: the National Geologic Map Database of the United States Geological Survey. You can click through regions, or go state by state, and some of the most giddily unbelievable, breathtaking images I’ve ever seen can be zoomed-in on to a detail that nearly pixelizes it’s so close. 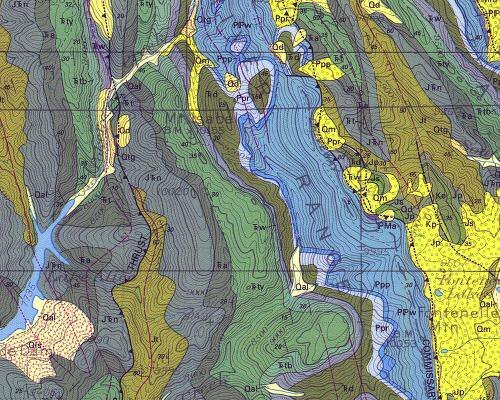 Preliminary bedrock topography! 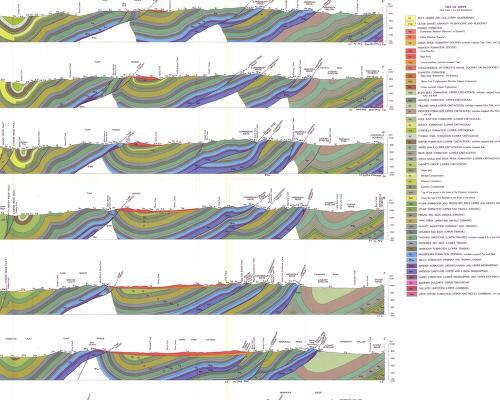 Interpretive geologic cross sections of Death Valley! The possible mythic overtones make the brain reel. Mapping time-dependent changes in soil-slip-debris-flow probability! What!? The vocabulary alone is worth the visit. 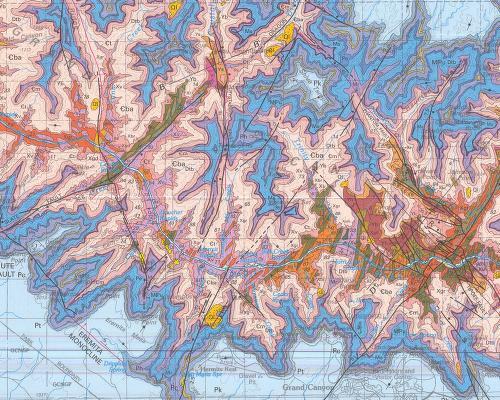 Distribution of hydrogeologic units – just look at this map! And this one! Map fetish! 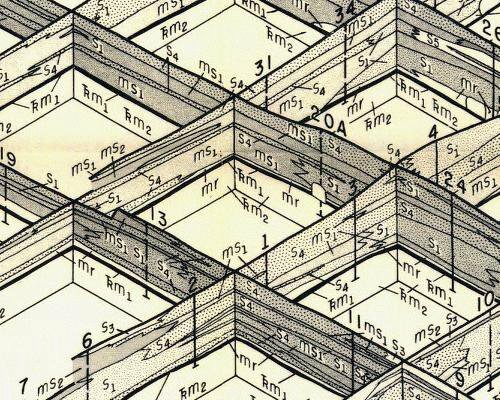 It’s the weird and wonderful world of abstract terrestrial science. Look at this one! And this one! In fact, just click on Kentucky and you’ll go nuts]. 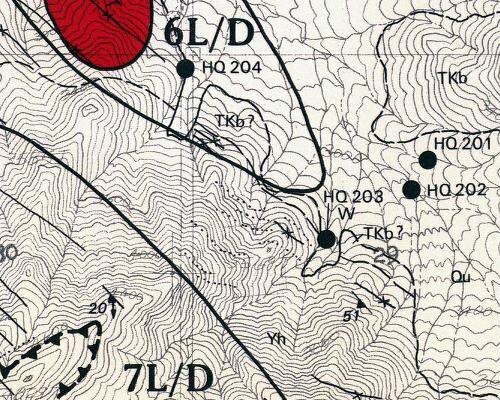 [For other unforgettable maps, don’t forget these]. Fascinating how biologic some of these maps look. I actually have some of these, on paper. 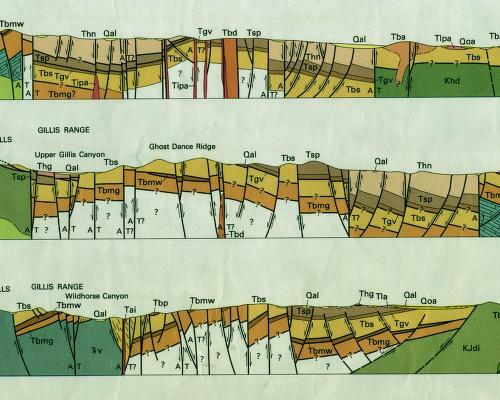 When I lived in New York, I happened across a book repository that was emptying out its old stock, and among lots of old hardbound coallations of Vogue and Ladies’ Home Journal were shelf after shelf of the USGS’ reports. They came in little books with full descriptions of the surveys that had led to the maps. They’re even more beautiful on paper – so rich, so seductive, full of detail. Some of the best ones are of places like Kansas where the street lines directly follow latitude and longitude lines, and all this roiling color boiling underneath. Thanks for the link. 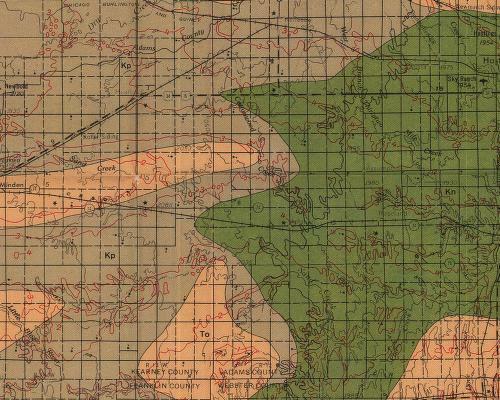 First time on this site, but reading some of the entries, you definitely have a burgeoning curiousity to learn more about Geology! 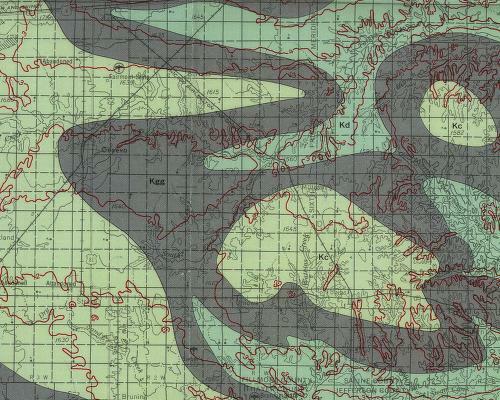 These geologic maps are fairly normal to me. 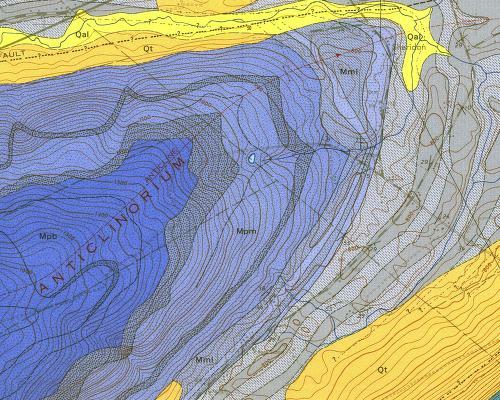 I still think they’re gorgeous (and I too have a map fetish) but with a couple geology courses (take an intro course and then a Structural Geology course and then a field course if you want 3) and you could understand and interpret what all this means.